SpineOne is pleased to announce the addition of three new Physician Assistants to our practice. These caregivers are specialists in the latest practices and options for treating spinal disorders, orthopedic injuries (including sports injuries, work injuries, and auto accident injuries), and chronic back, neck, and joint pain. Louann Berroa , PA-C has been practicing as a Physician Assistant since 1997. She graduated from the University of Texas Southwestern (UT-Southwestern) Medical Center. After graduation, she worked in family practice and then for an orthopedic surgeon in Texas. 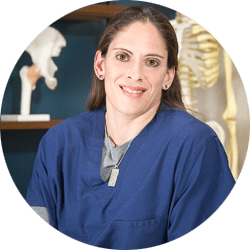 Louann came to Colorado in 2001 where she worked at Vail-Summit Orthopedics for two ski seasons and was exposed to not only trauma, but also spine trauma, hand injuries, and sports medicine. Following that she moved to Denver and began working with the trauma service and sports service at Panorama Orthopedics for six years. She then moved to a more challenging position at Denver Health where her exposure to all levels of patients, including children and those with limited access to healthcare, made her position rewarding and challenging. She was there for 8 years before moving to Rocky Mountain Pediatric OrthoOne. She has been practicing pediatric orthopedics for the last 2 years. Tara DeCrescentis, PA-C attended and graduated from the University of Illinois with a Bachelors in Biology. Shortly afterwards she began attending the University of Colorado at Denver Health Science Center where she achieved her Masters in Science. Tara began her work in the medical field when she served as a PA and Clinical Coordinator at Denver Pain Management. 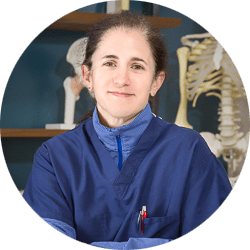 Following that position she worked for 7 years at Colorado Brain and Spine as a Physician Assistant where she developed a true passion for the spine. Tara is excited to begin working at SpineOne and feels that her strengths in communication, patient care and healthcare in general will prove to be a valuable asset to the team. Christopher Traut, PA-C is a certified Physician Assistant that graduated from Western University Health Science. Prior to practicing medicine, he served in the United States Air Force. Over the course of his career, he gained experience in spine surgery and has come to enjoy working with the spine. 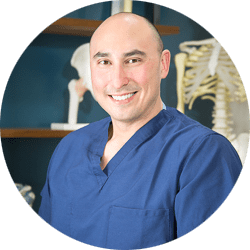 In his years of practicing with Neurosurgery and Orthopedic spine surgeons, Chris developed an understanding of patients suffering from a variety of spinal conditions. This experience and the skills nourished from 3+ years of spine surgeries have prepared him to become a valuable asset to our team. In addition to his experience with the spine, Chris volunteers for a community health organization and has participated in cancer research at the University of Colorado of Denver. Chris will prove to be a strong member of the SpineOne team. We’re excited for these exceptional PA’s to join our team offering same day appointments for back, neck, and joint pain. Come meet them today! Common Winter Sports Injuries & Treatments Is Cracking My Own Neck Safe?